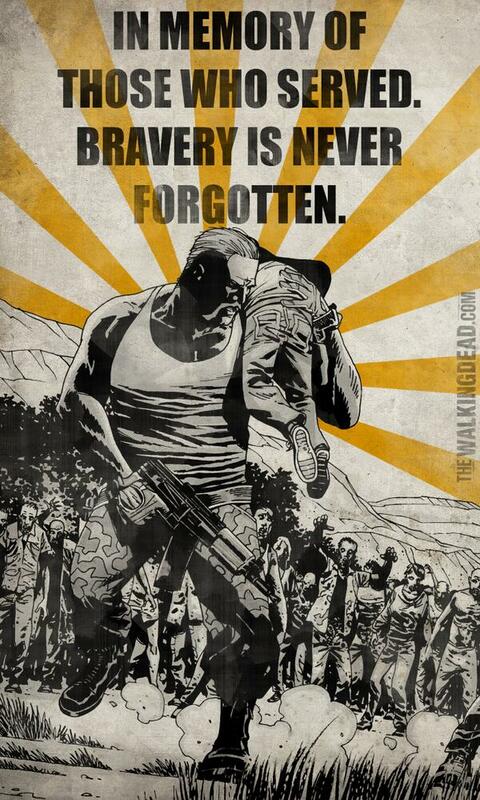 The Twitter account for thewalkingdead.com, the official site of Robert Kirkman and The Walking Dead, recognized Memorial Day with this image of The Walking Dead cast member Abraham Ford and the hashtag #grateful. The Tweet managed to be a bit controversial. Abraham is indeed a soldier, if a fictional one. And he is fighting in a war, if a fictional one against zombies. And he did, and here’s where the spoilers come in, die in that war. “Yes, because casualties of actual wars are equal to those in fictional zombie wars,” Craig Hlavaty said. The general response to the tweet was positive, however, if a little less than somber. Samuel Blanco simply tweeted “The Grateful Dead.” If that’s an intentional pun, he gets a thumbs up from me.